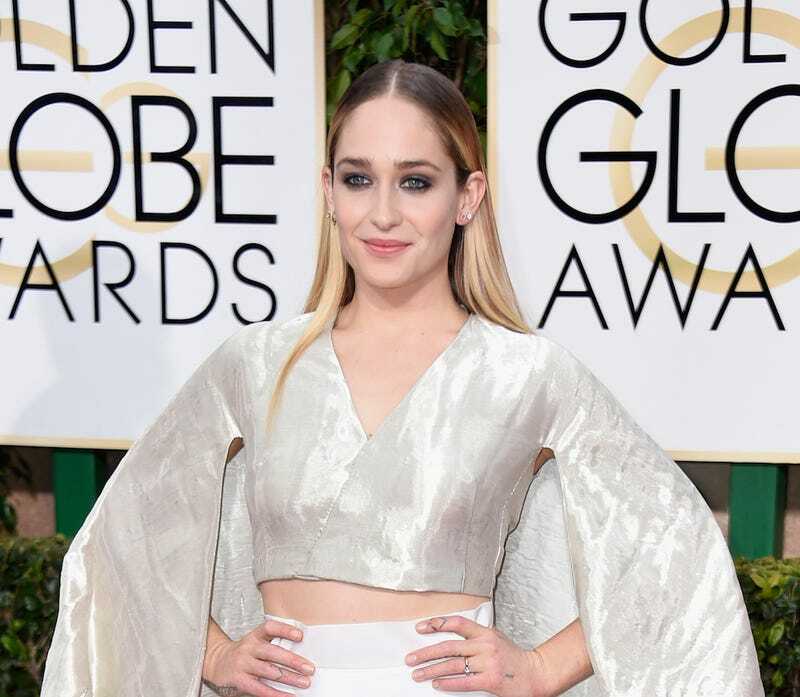 Jemima Kirke stopped by the Golden Globes on the way to the Triwizard Tournament Yule Ball, wearing a two-piece Rosie Assoulin and a very pleased expression. Jemima Kirke couldn't decide what to wear so she robbed JoAnn's Fabrics a few hours ago and very carefully hot-glued several yards of cheap poly-rayon together en route to the ceremony. Jemima Kirke traveled through time back to 2003 and stole swatches of metallic silver fabric from my bat mitzvah party inspiration board to show her stylist, and Vogue was 100% in on it. I'll ask you again: What is Jemima Kirke wearing?